What is a Bitcoin and how do I buy one? News reports involving Bitcoin are usually a hurried attempt to explain every aspect of how the system works, but getting started with Bitcoin is actually pretty simple. It's best to just ignore the whole "mining" part for now. New coins are discovered by running a computer program until it solves many math equations (which actually verify that previous Bitcoin transactions are legitimate), but those equations have increased in difficulty so much that only devices custom-made for the task are able to solve them quickly enough. 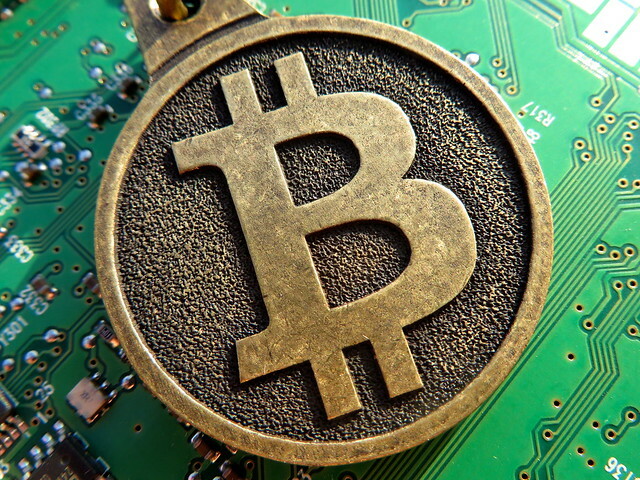 You can learn the technical details of Bitcoin mining here. Your best way to get involved is to exchange dollars you already own directly for Bitcoin, like you would if you were buying something on the stock market. Bitcoin is an investment, and you could lose all of your money if the price of Bitcoin drops! To invest in Bitcoin, head over to Coinbase, which is currently the easiest way to exchange dollars for bitcoins. Signing up and getting an address to receive Bitcoin is free. If you want to buy and sell Bitcoin, you'll need to connect a bank account. Coinbase has a guide to buying Bitcoin on their site, and the process really is simple! Once your bank account is verified, either instantly by providing your log-in details or in a few days by confirming a small transaction into your account, you'll immediately be able to exchange dollars for Bitcoin. The price at the time of writing is $820! We aren't buying that much, so in the screenshot you can see that we're buying a fraction of a Bitcoin: 0.001 BTC, which is only $0.82. 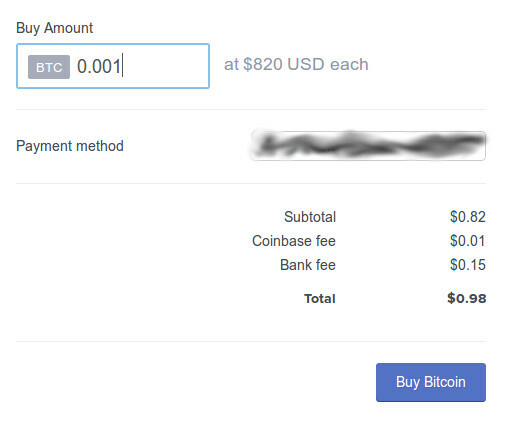 There is a $0.01 fee from Coinbase and a bank fee of $0.15 for the transaction. Now, the interesting part: Since I took that screenshot, the price has increased to $822.17! It would now cost a little more to buy a Bitcoin, but our 0.001 BTC would currently be worth more. The price could just have easily gone down and our fraction of a Bitcoin would be worth less, but now you see why people are a bit amazed at the profits some Bitcoin investors have made. For instance, if we'd bought $0.82 of Bitcoin six months ago, when the price was around $129 per Bitcoin, it would be worth $5.21 today. It sounds funny when dealing with pocket change like that, but it's pretty exciting to have an investment where, six months later, you would have had six times more money!